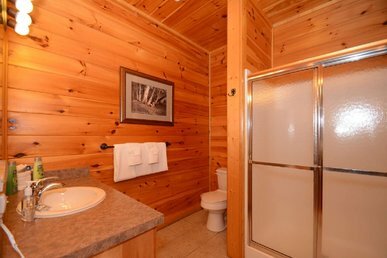 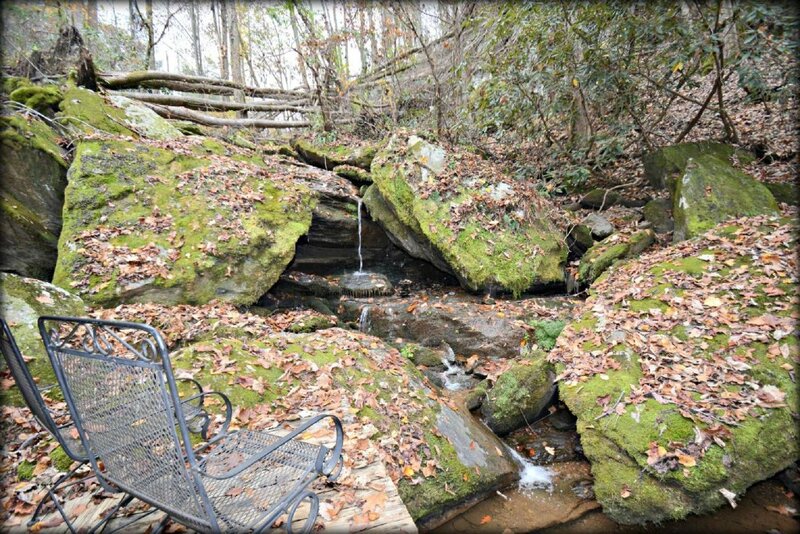 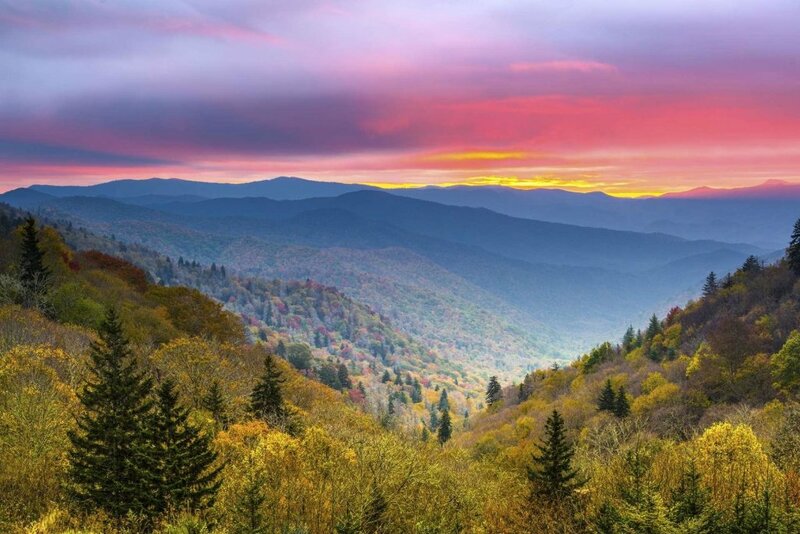 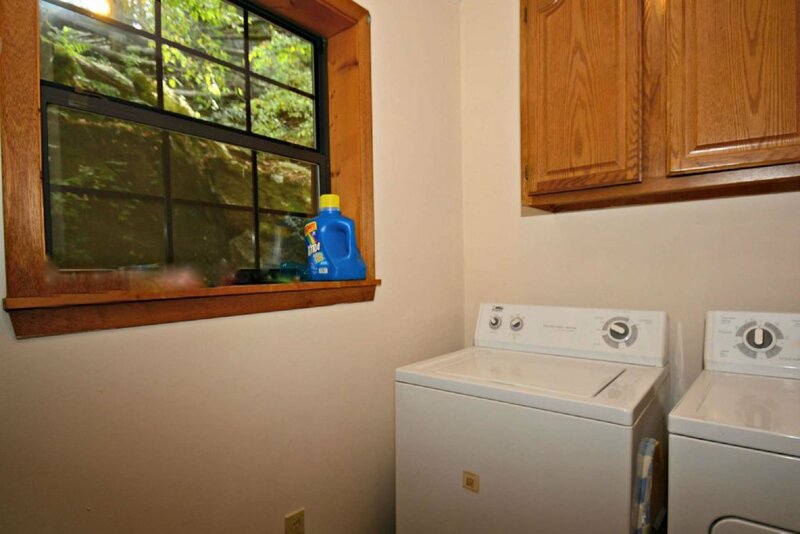 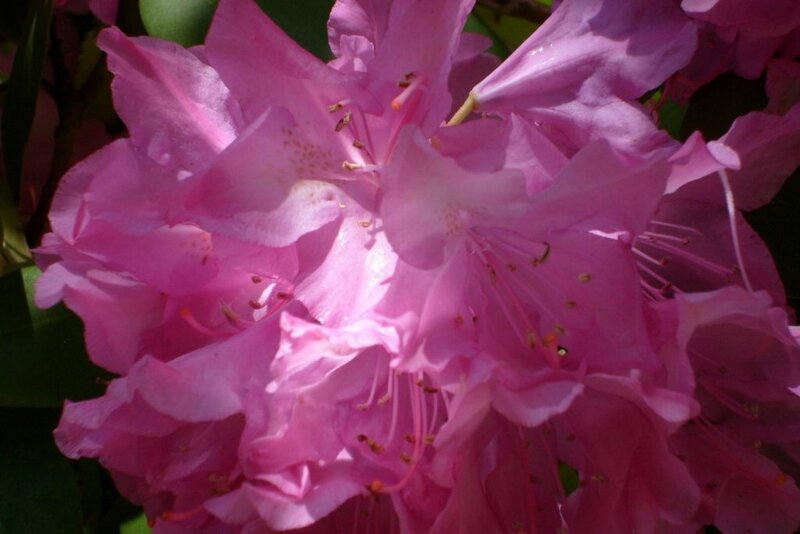 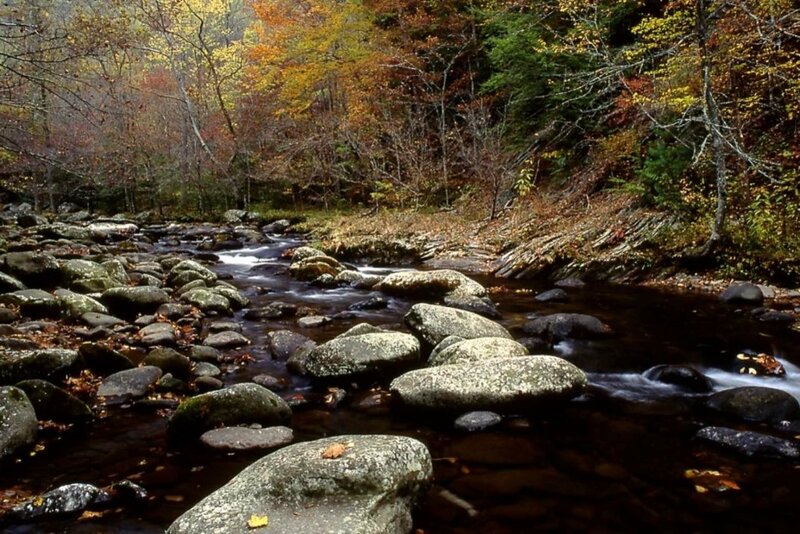 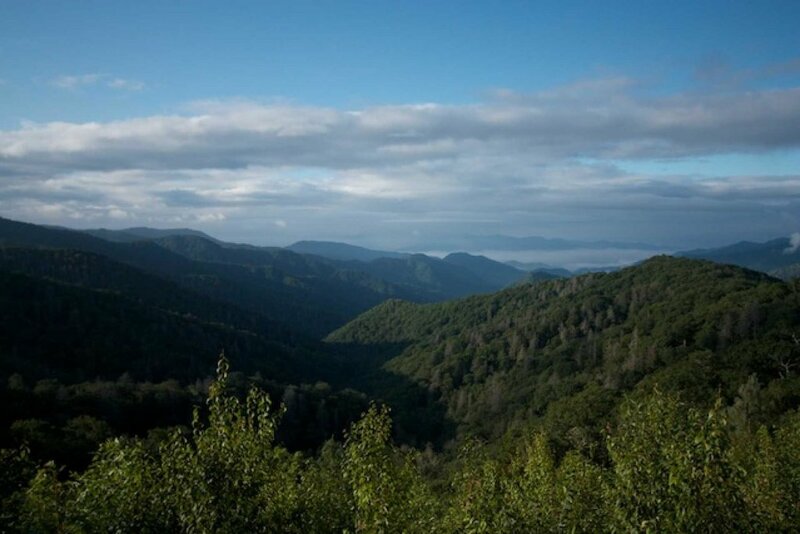 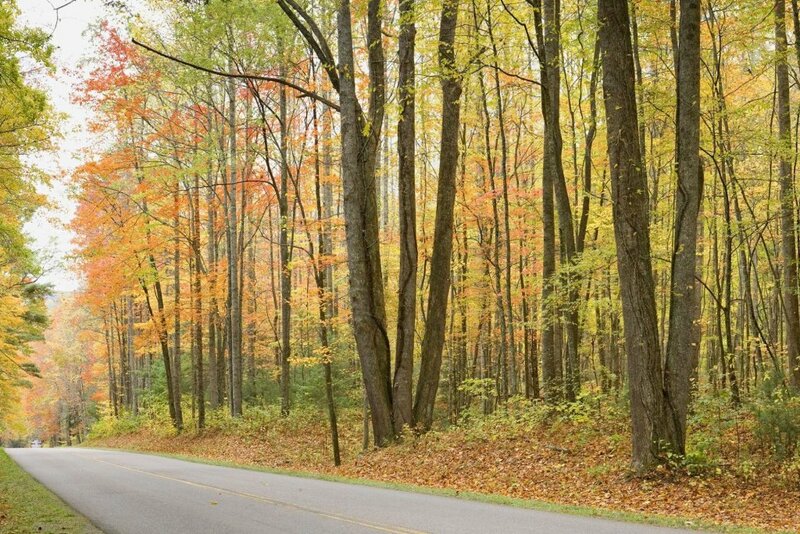 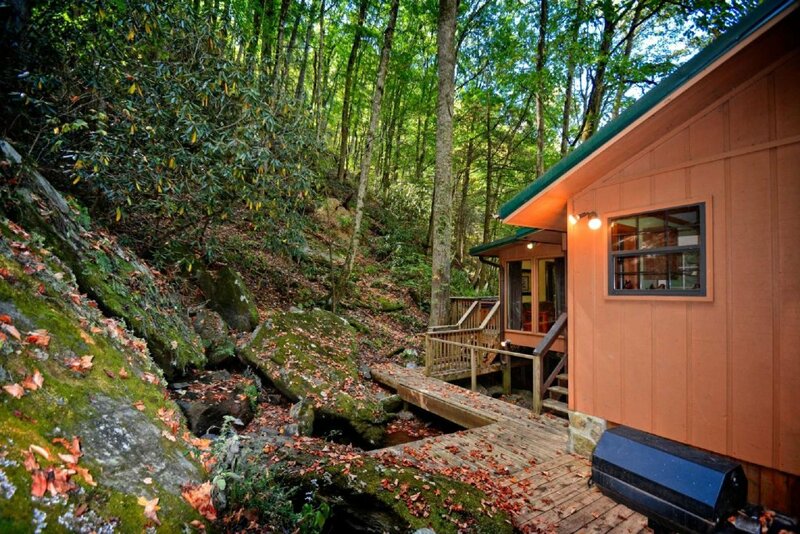 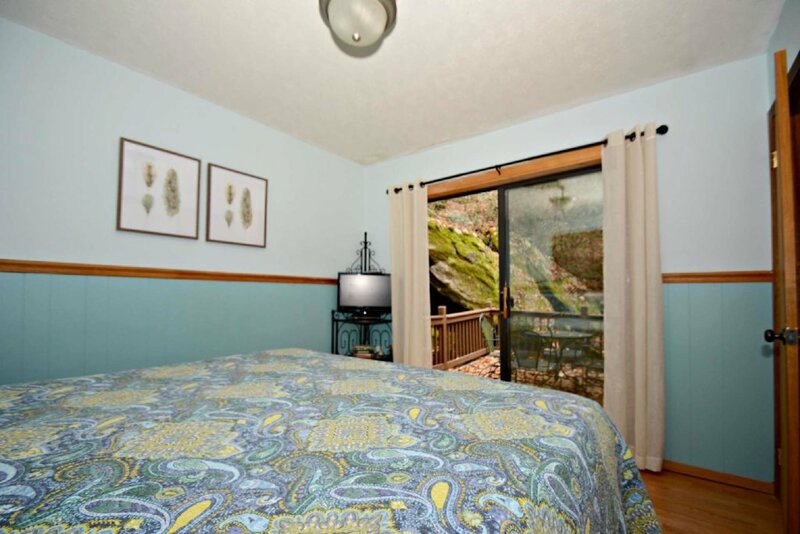 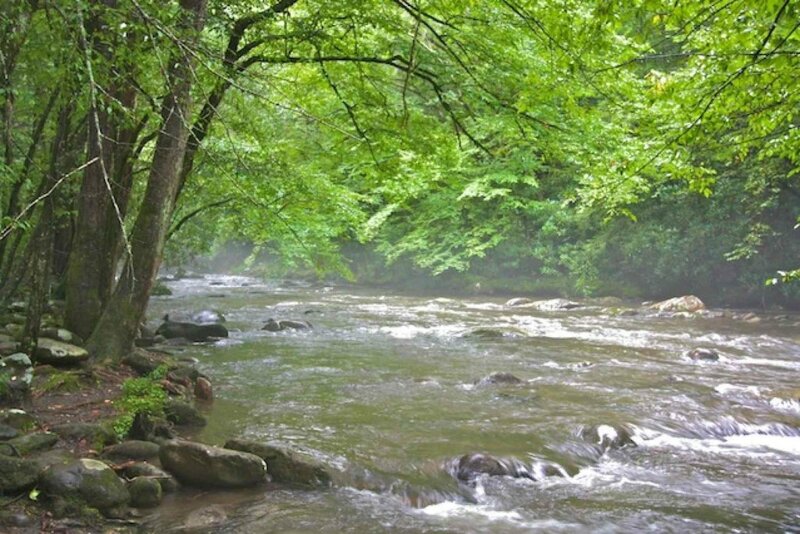 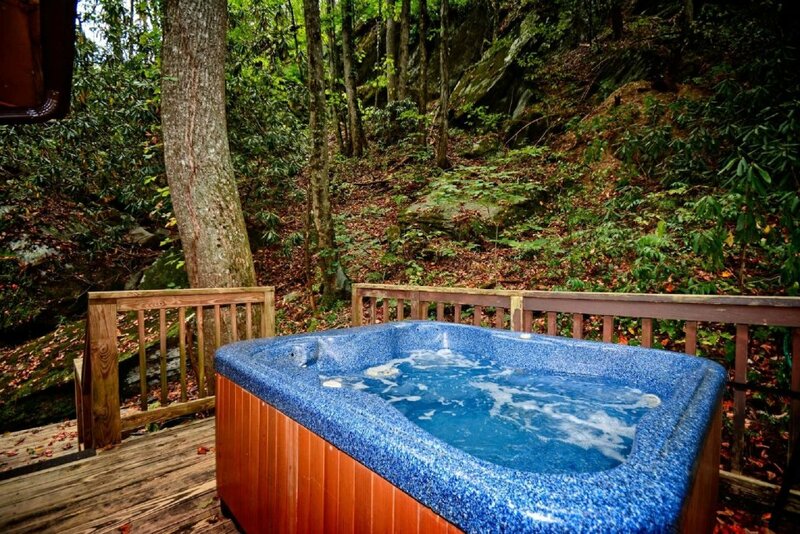 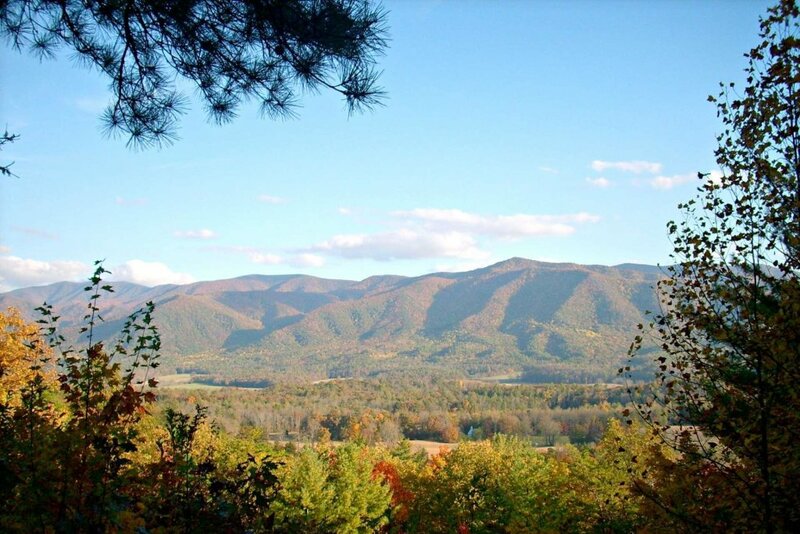 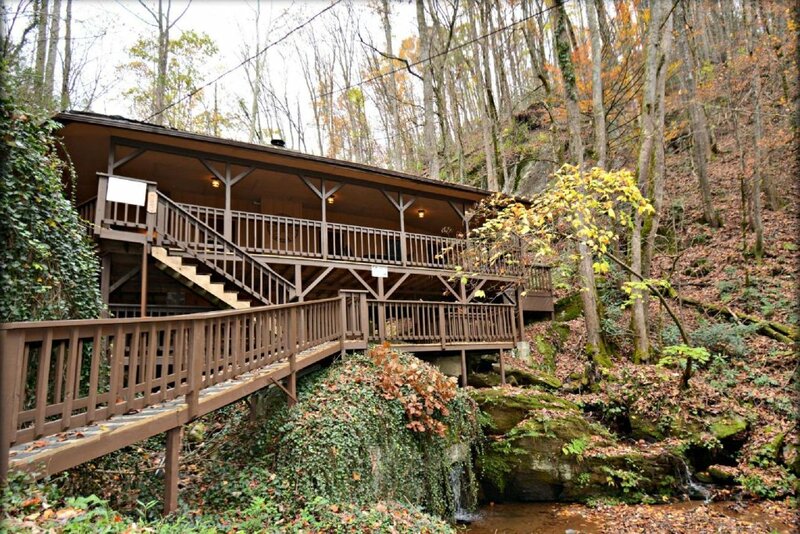 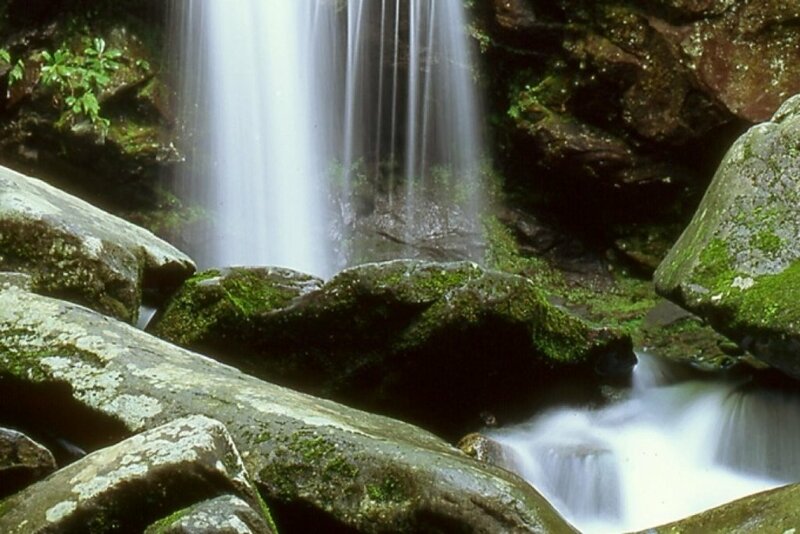 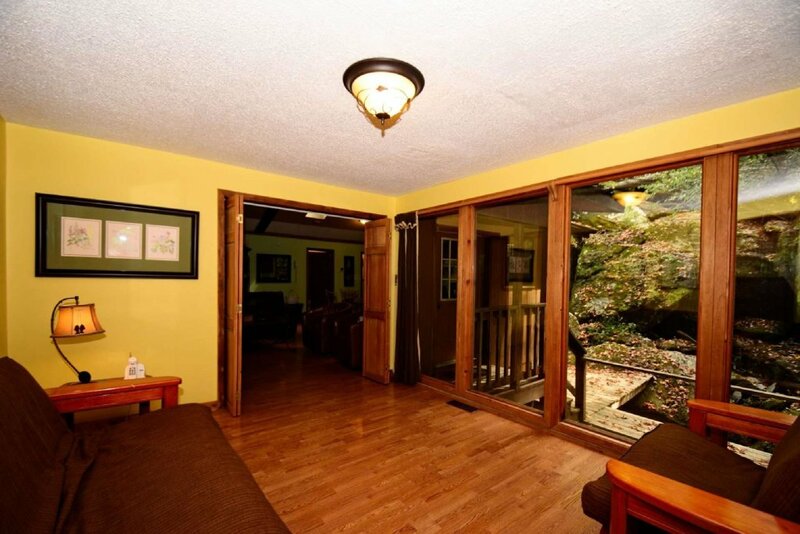 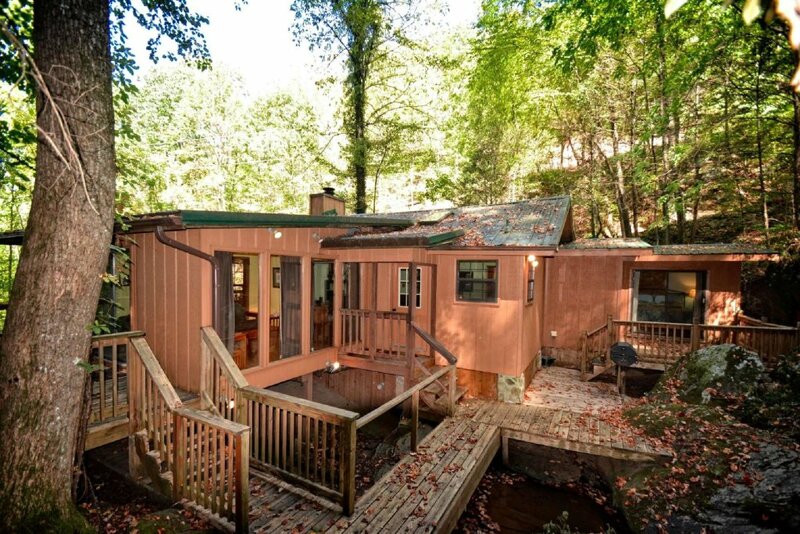 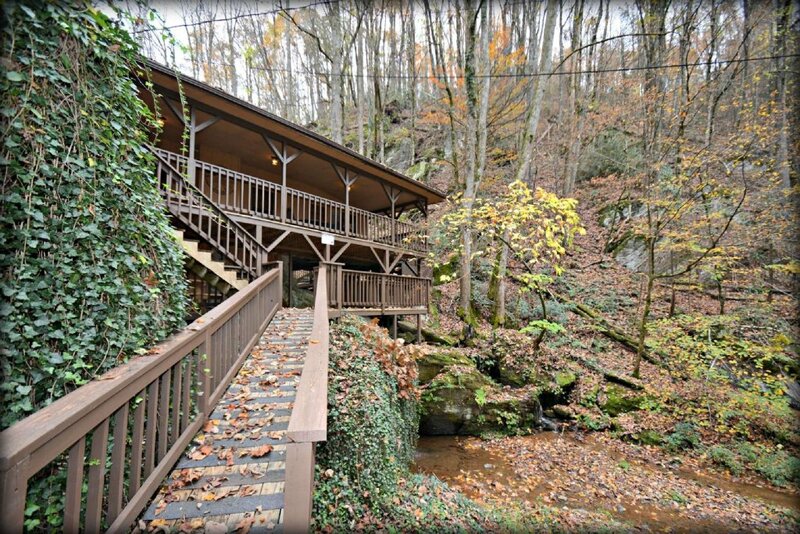 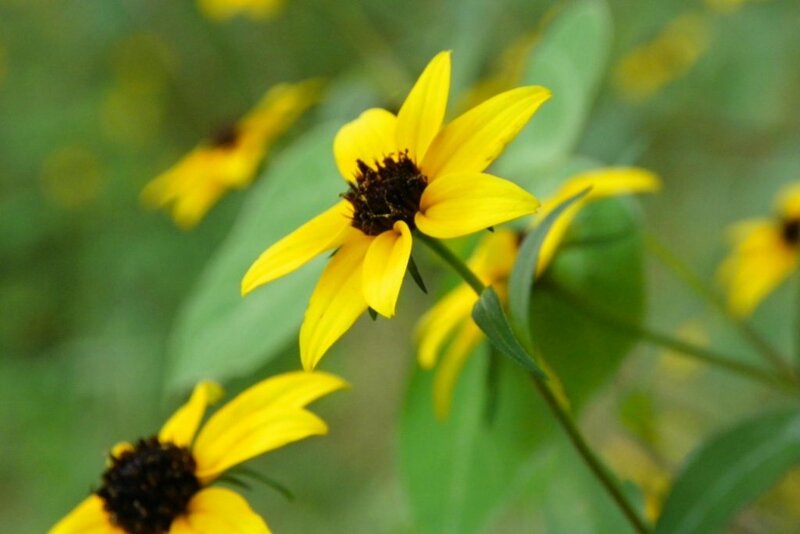 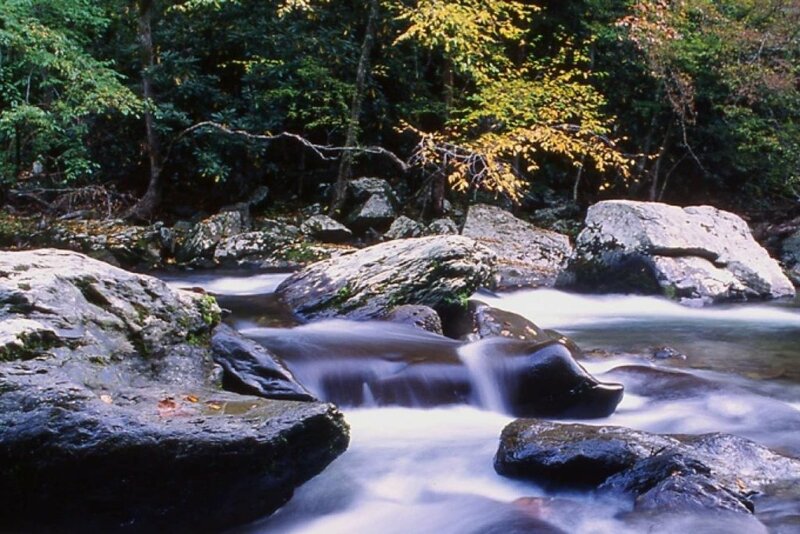 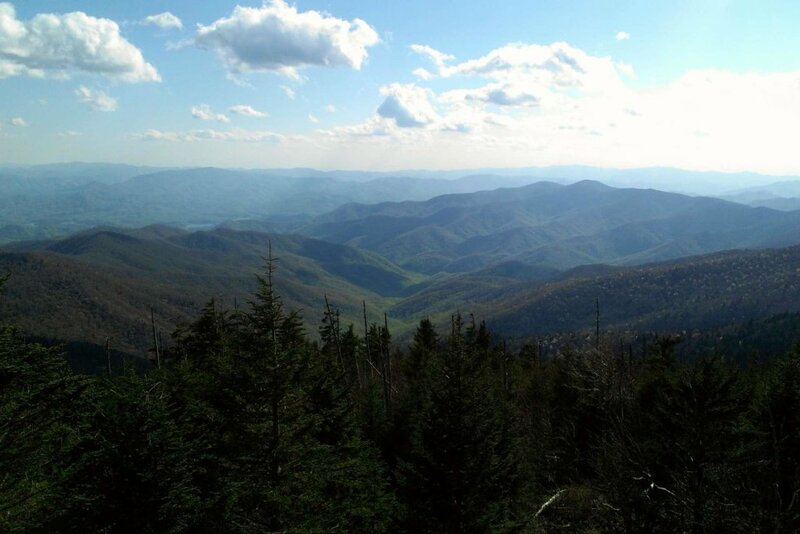 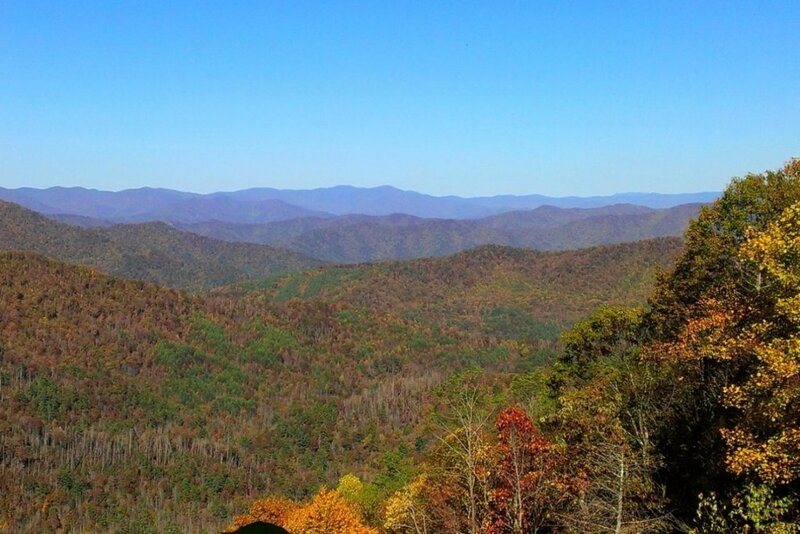 The Waterfall Cabin is in the Great Smoky Mountains - 2BR/2BA. 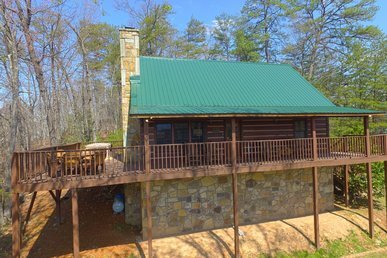 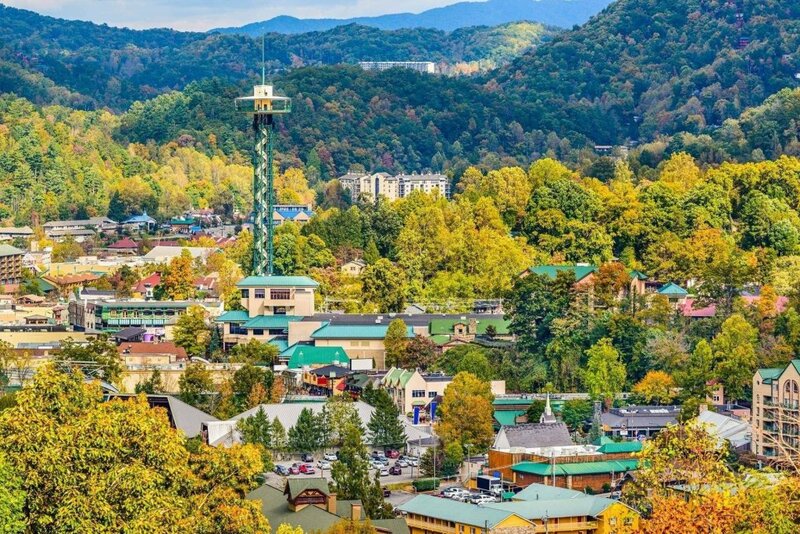 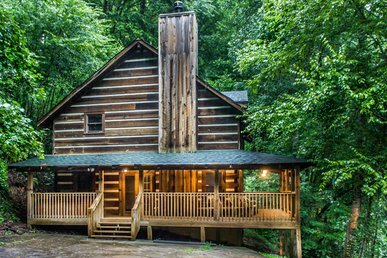 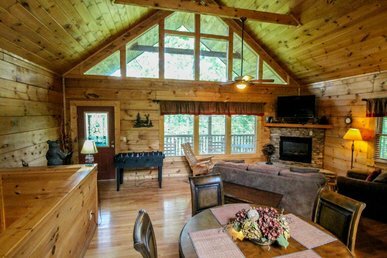 This amazing cabin is located in the beautiful community of Sky Harbor and nestled in between Pigeon Forge and Gatlinburg. 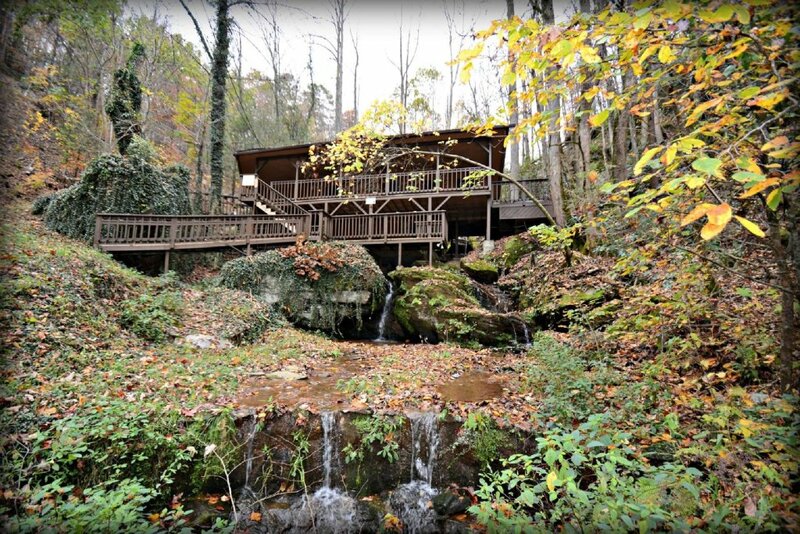 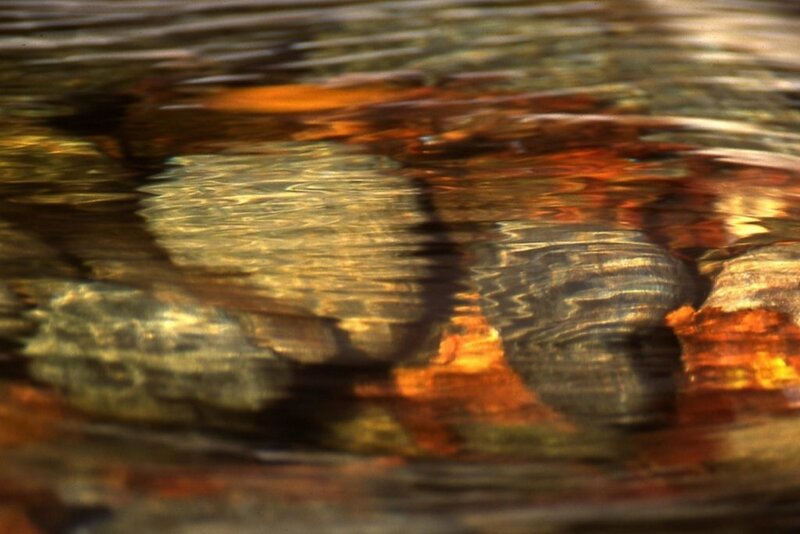 This cabin is built on a natural flowing stream that has a beautiful waterfall descending just behind the cabin, and an additional waterfall flowing just below the cabin. 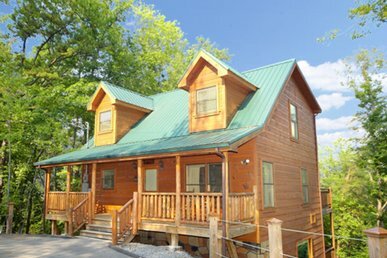 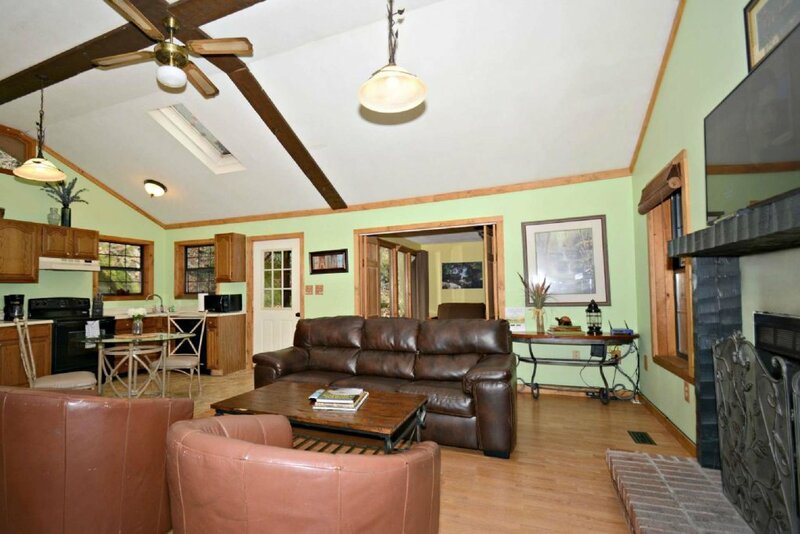 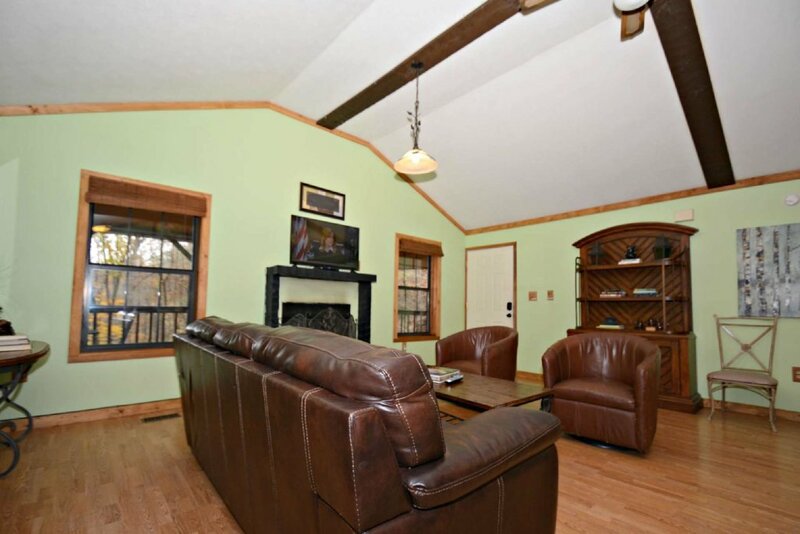 This cabin is one of a kind and located only 2.5 miles from Pigeon Forge and 5 miles from downtown Gatlinburg. 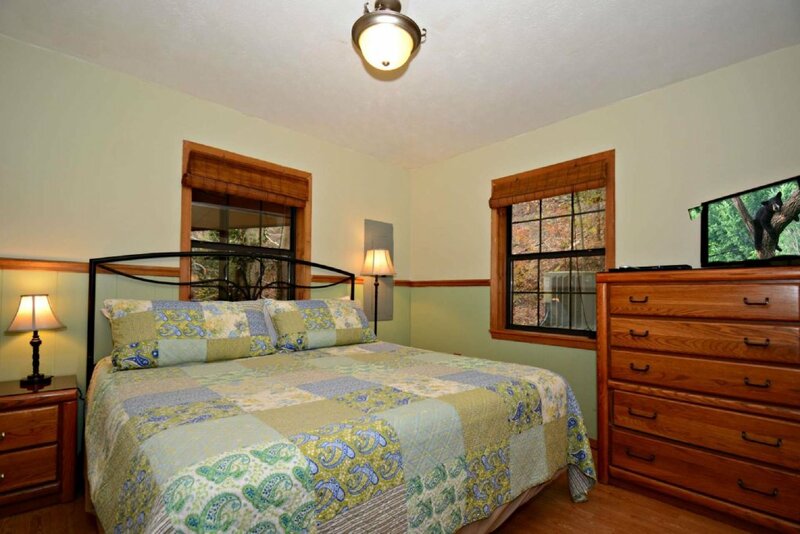 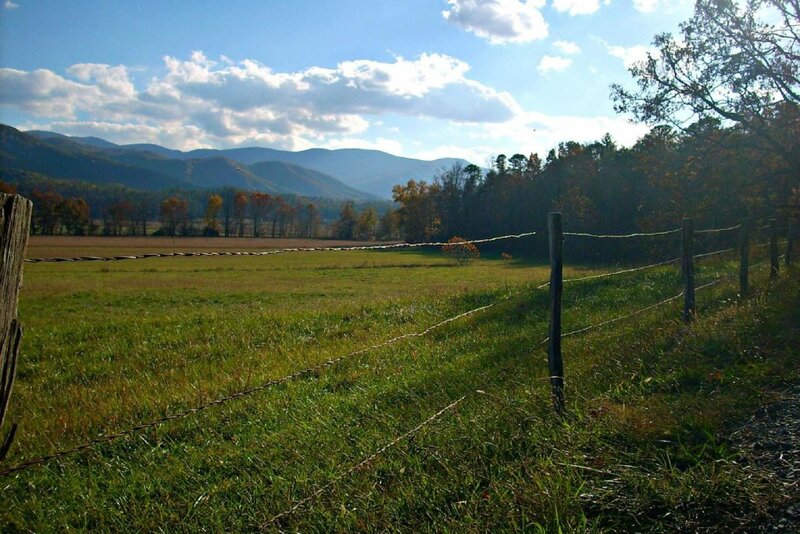 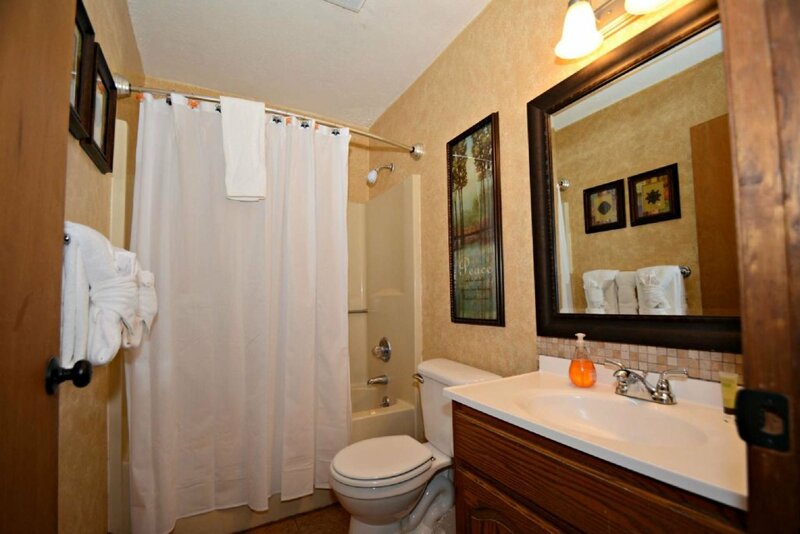 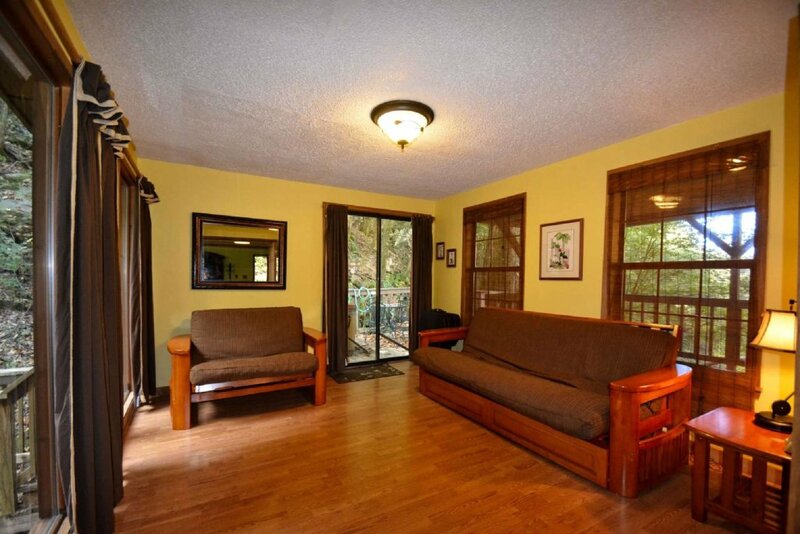 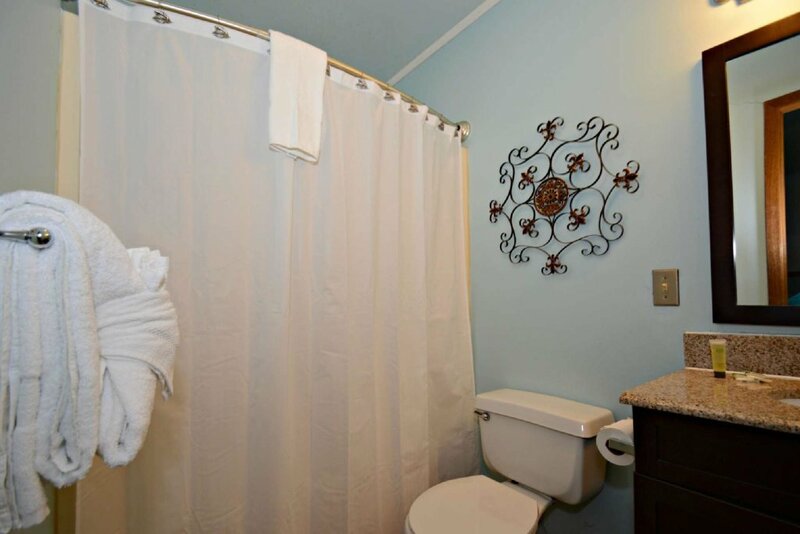 You will have all the privacy you need, while also having easy access to local attractions. 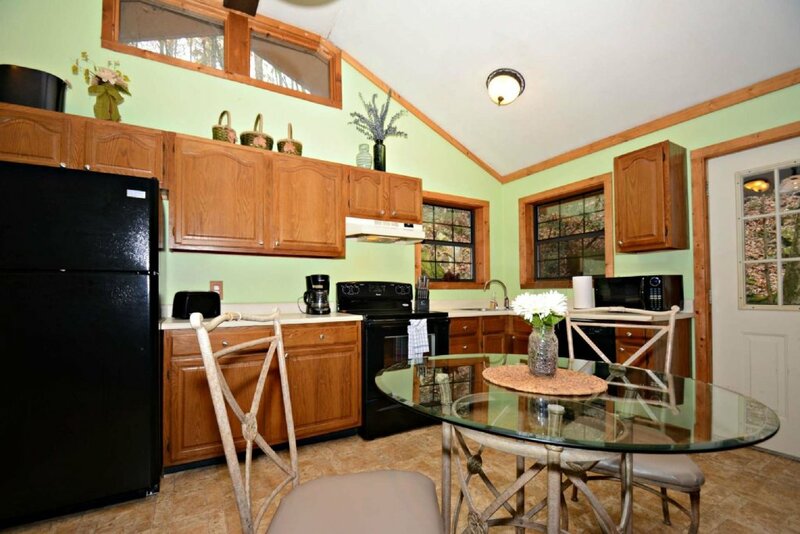 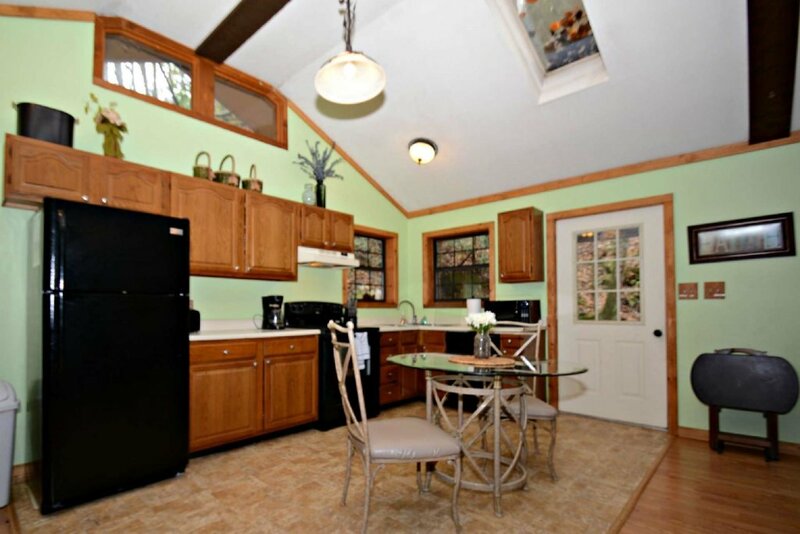 Enjoy an open area living arrangement with a fully equipped kitchen for preparing meals in. 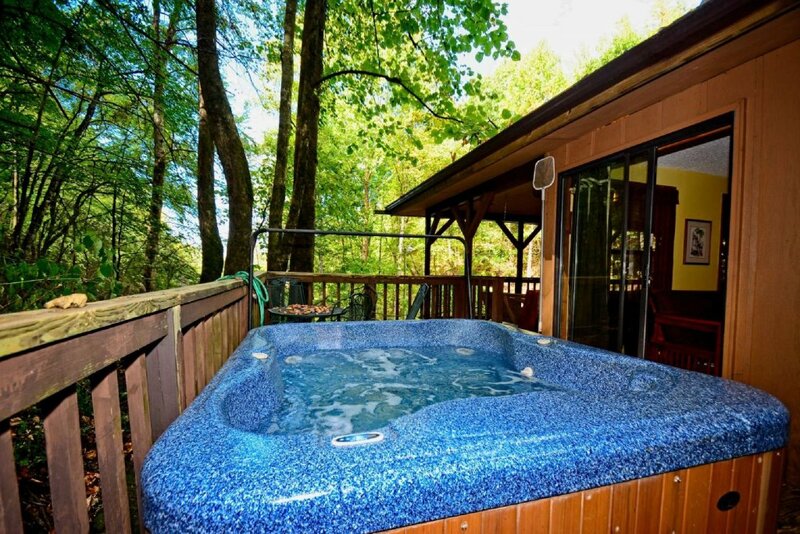 You can grill out with the family on the charcoal grill and enjoy your meals outdoors, or simply relax in the hot tub after a long day of activities in town. 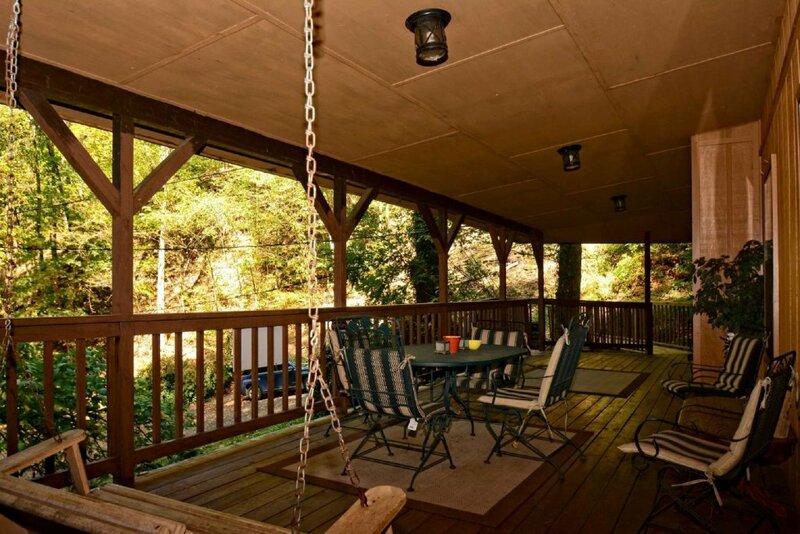 There is plenty of deck space for the family to spread out and find their secret little place to just unwind. 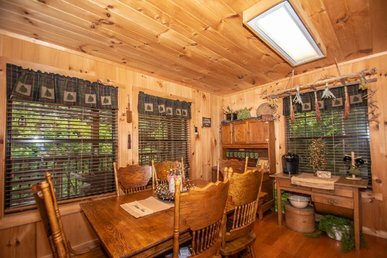 On the lower deck area, there is a nice picnic table, where you can enjoy family time, or just enjoy the sights and sounds of the waterfall flowing under the cabin. 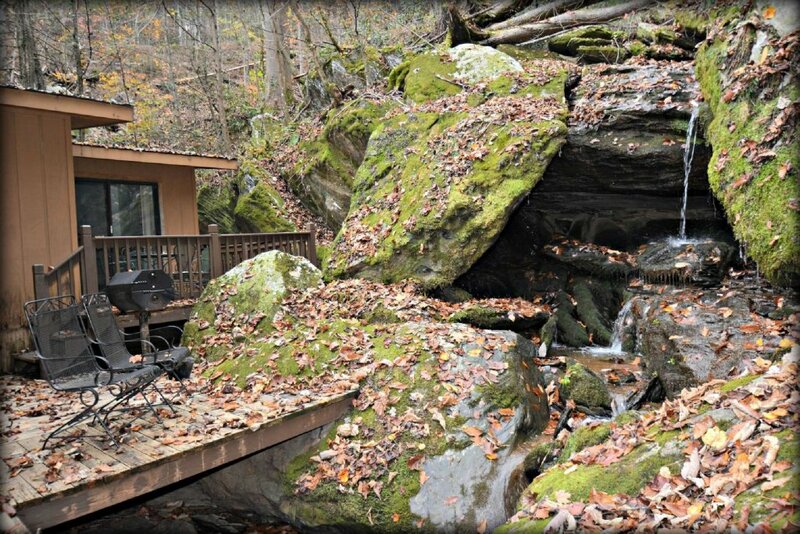 The Waterfall Cabin will be your Smoky Mountain getaway for years to come! 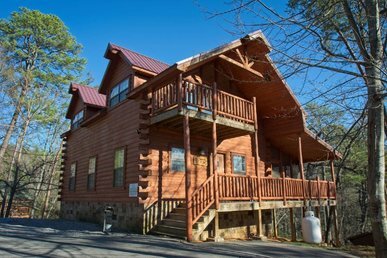 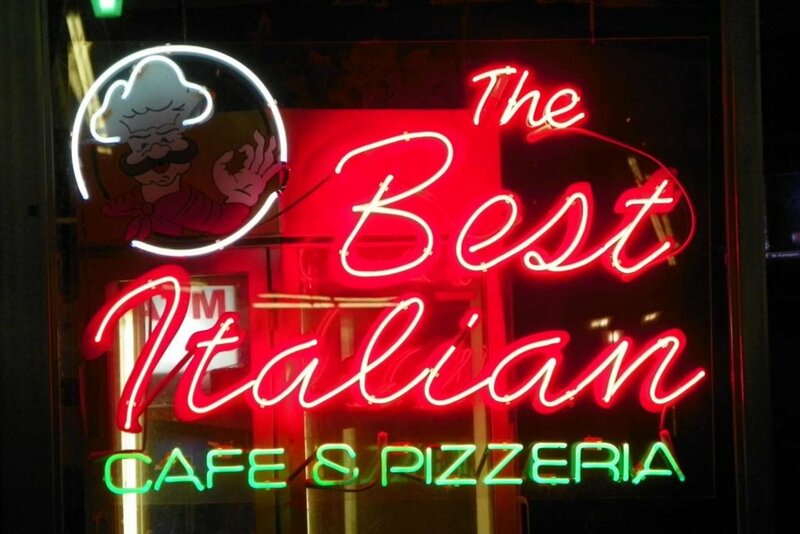 Greater Than 30 Days: Should you need to cancel your reservation with more than 30 days notice prior to your arrival date, you will be charged a cancellation fee equal to your deposit up to $200. 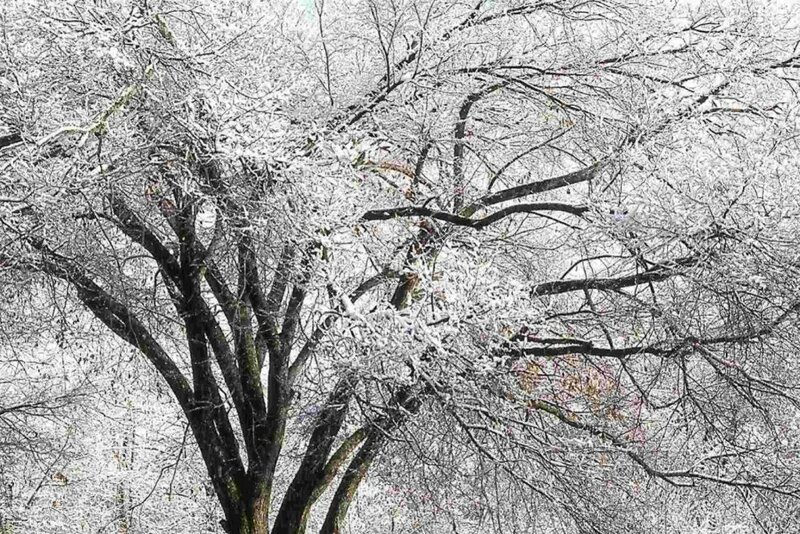 Any funds received over $200 will be refunded. 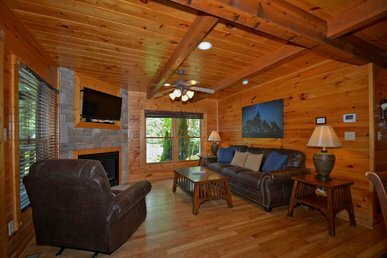 Less than 30 days Should you need to cancel your reservation with less than 30 days prior to your arrival date, host will make every attempt to find another guest for your location and dates. 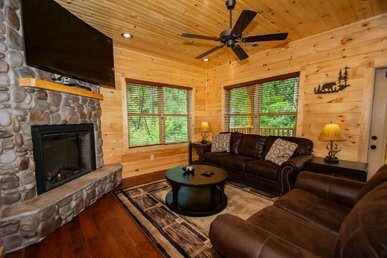 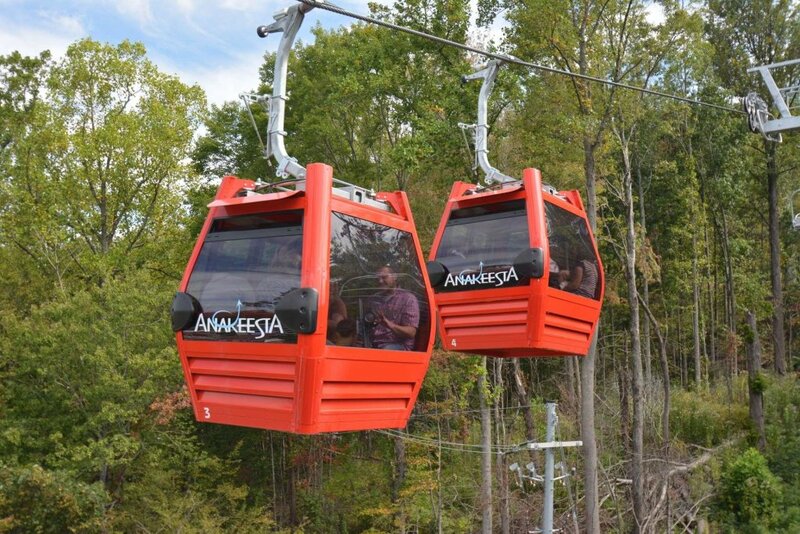 If another guest is booked, your refund will be based on the dates and rates of the new guest and a $200 cancellation fee will be deducted from the refund. 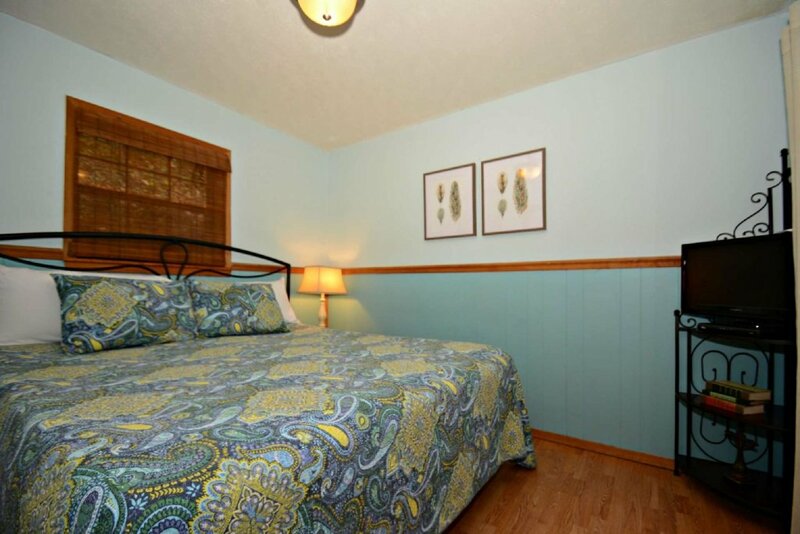 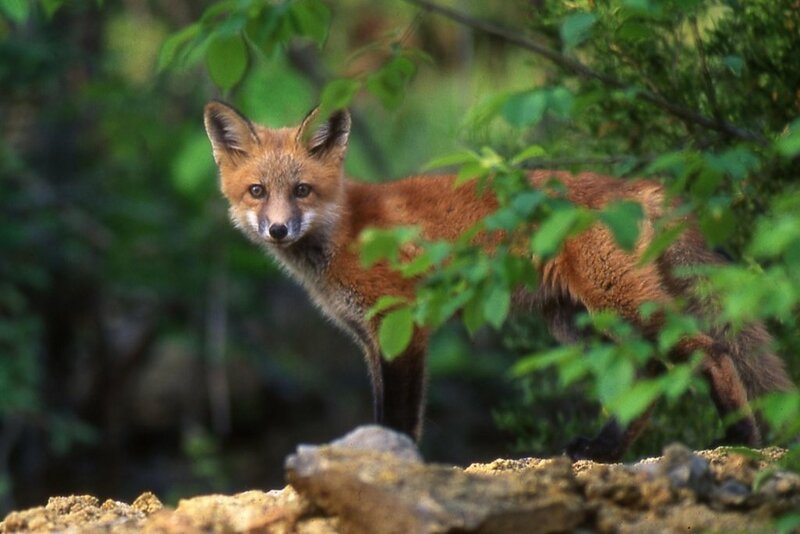 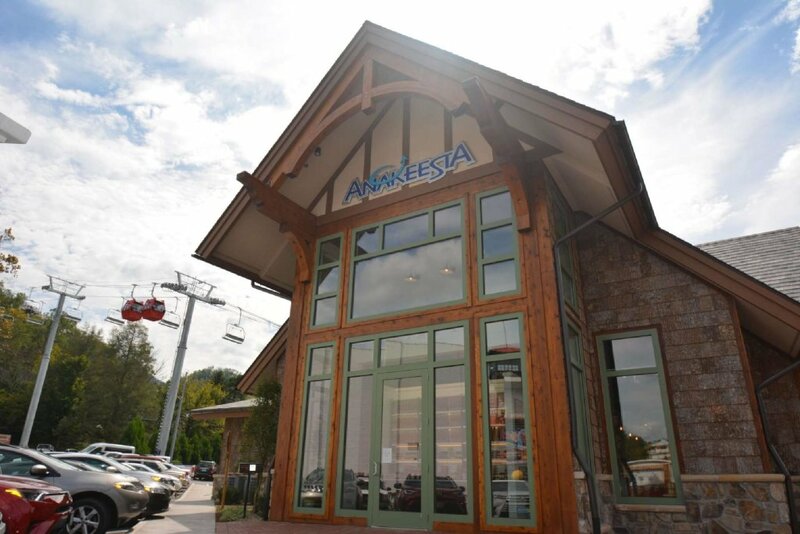 If another guest has not booked for your scheduled time, a refund will not be given.